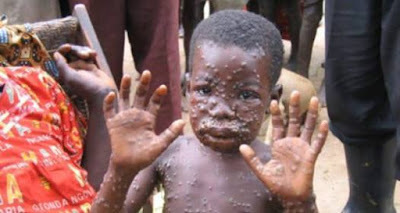 A new case of Monkeypox has been recorded in Akwa Ibom State, an official has confirmed and at least 13 people suspected to be affected by the viral disease are on admission in hospitals in neighboring Bayelsa and Rivers states. The Commissioner for Information in Akwa Ibom, Charles Udoh, in a statement issued in Uyo, confirmed the single case. He also said that the state government was investigating two more cases suspected to be monkeypox. In his words, 'Monkeypox currently has no treatment and no vaccine. It looks like small pox but the rashes are larger while the disease is milder. The era of avoiding excessive handshake, regular hand-washing and abstinence from bush meat is here again. We will provide more information subsequently,” the commissioner said.